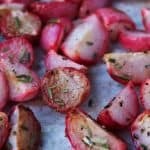 An easy and low carb alternative to potatoes, these Rosemary Roasted Radishes are a perfect paleo, vegan, and Whole30 approved side dish. 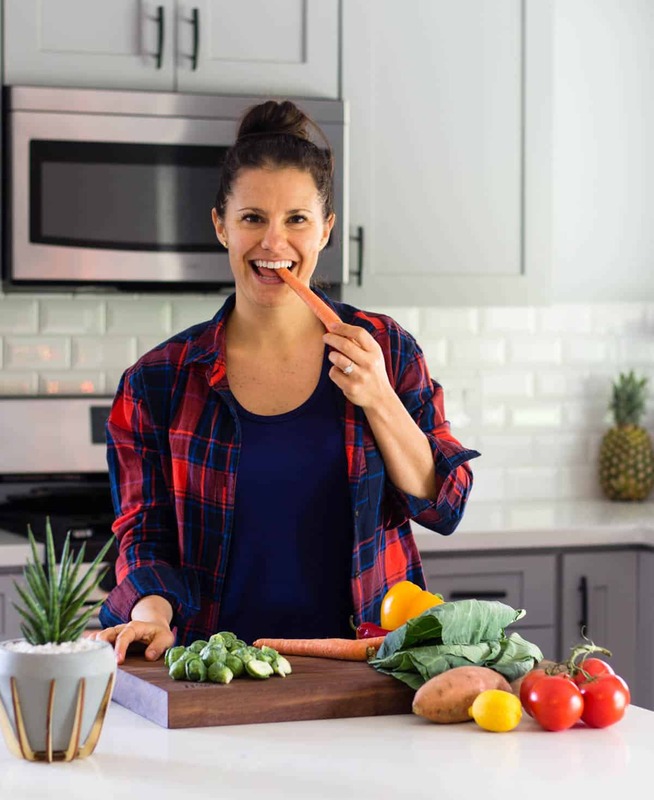 Do ever get inspired by the produce you see at the farmers market or store? It just calls out to you that you need to buy it. No? Maybe that is just me haha. Well I usually get that feeling when I frequent the farmers market or am strolling around the grocery store. 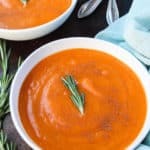 There is just so much unique produce that I am curious to try and use. Most of the time I try to constrain myself (or Michael tells me no haha) so I don’t spend all of my money on food. Well this past week at the farmers market I couldn’t help but pick up these local radishes. I never really was a huge fan of radishes, but I figured since they looked so pretty and might not be in season much longer, I should snag them. My dad loves them and eats them like candy. I have grown to like them, but this still aren’t my favorite. 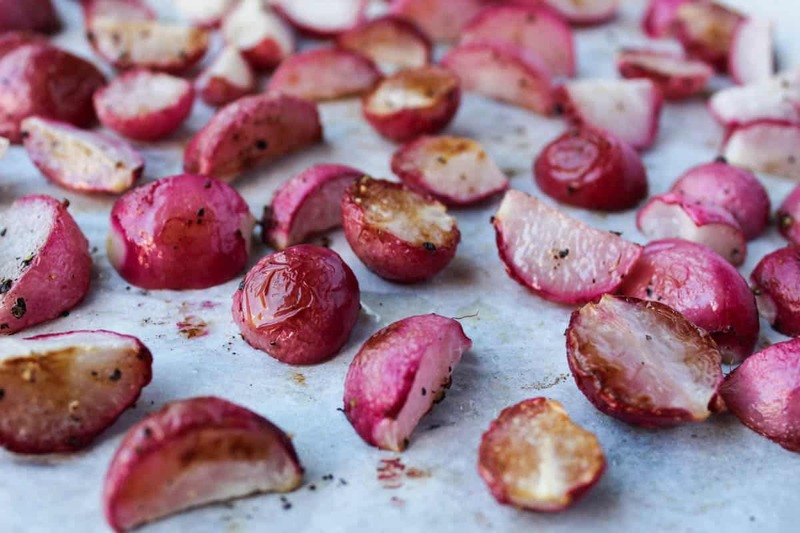 I heard awhile awhile back that if you roast radishes they taste like potatoes. I like pretty much any veggie roasted so I figured why not five these a go. Add some lemon and fresh herbs and they can’t be too bad right? Well they turned out amazing! I couldn’t stop munching on them when I was taking pictures. I made Michael tried them when he got home and he approved! I believe his exact words were “interesting. these are pretty good”. I call that a win for me! 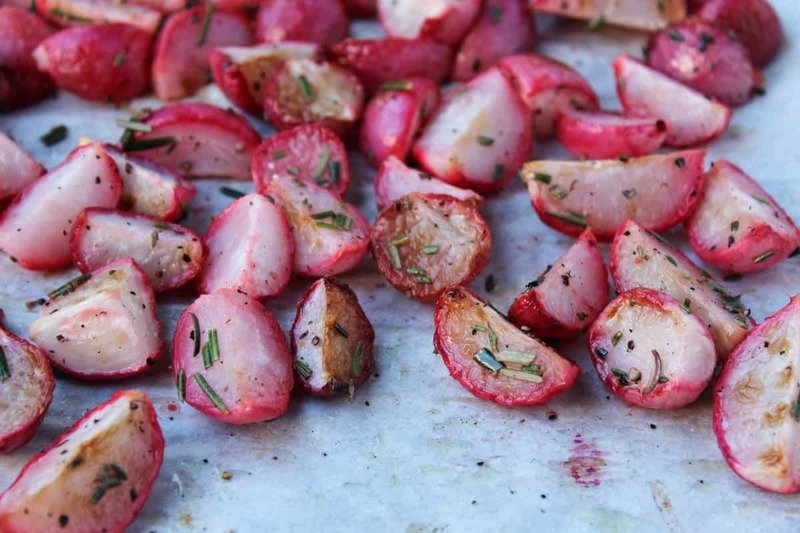 Roasted radishes are a great alternative for potatoes. 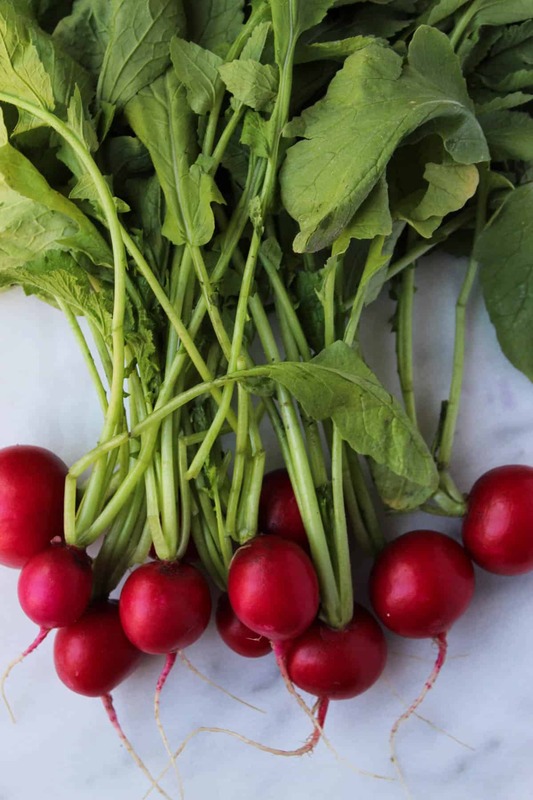 They are a lot lower in carbs with only 3.5 grams per 100 grams of radishes. 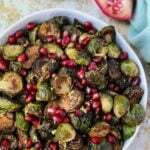 They are a great source of ascorbic acid, folic acid, and potassium and also provide a good source of vitamin B6, magnesium, calcium, riboflavin, and copper. Don’t waste the greens either! Sauté them up like you would spinach or kale and serve with breakfast or dinner. 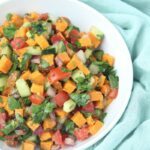 Do you ever get random ingredients that you want to try? This looks amazing! Definitely trying this. 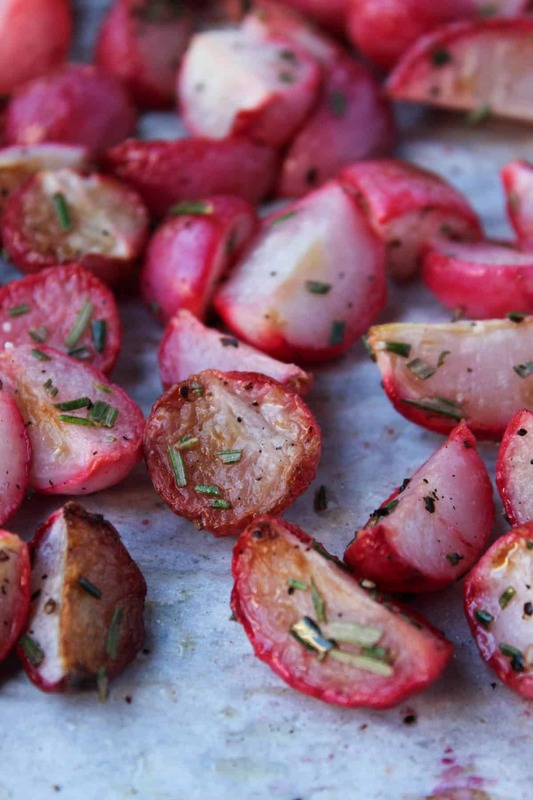 I love radishes and never thought of roasting them. Thanks for posting! Thank you, they are so good roasted! I hope you like them Michelle! I am dying to try this! I am always looking for low carb alternatives. 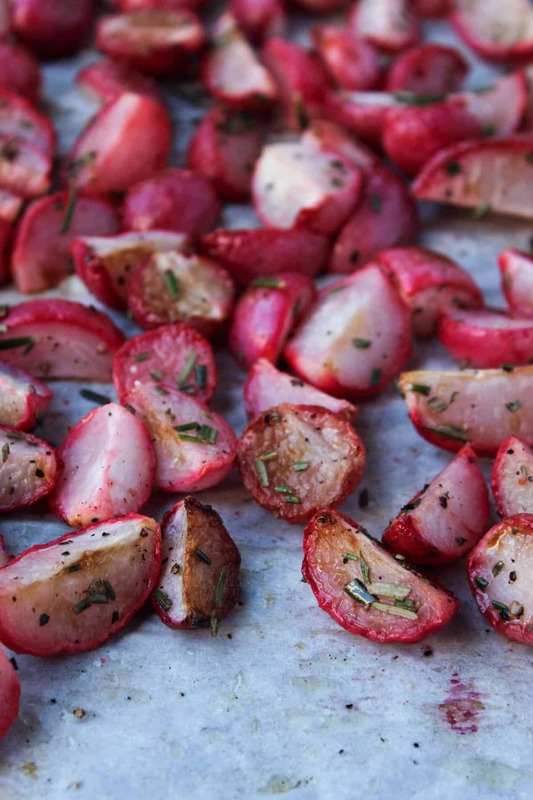 However I have never tried radishes.. How would you say these actually compare in taste to potatoes? I would say they would be a little more bitter than potatoes, but the texture is somewhat similar. The bitterness dies down though when you roast them. 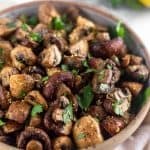 They make for a great low carb alternative. 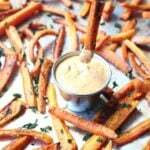 You can experiment with different flavor combinations as well! Hope you like them Erin! So glad you liked them Cami! Thanks for trying!! I am on day 3 of Whole30 and made these as a side last night! They were really tasty and did have a similar consistency to potatoes. 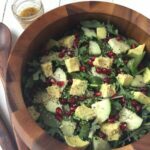 Radishes are one of my favorite salad toppings, but I loved finding a new way to be able to incorporate them into my meals (especially as a healthier, lower-carb alternative). Unfortunately, I didn’t save the greens, but I’ll definitely have to next time I make these!! Yay, love hearing that you enjoyed a new way eating them! Thanks so much for trying them Marissa!